Hovering above Newbury Street, Salon Eva Michelle is an experimental space that turns the present into a viewing platform to observe past and future. The design features an interior stripped down to its bare essentials with exposed flooring and brick walls. A shiny bubble greets you at the door while a dark angular mirror pokes down from the ceiling forming individual styling stations. Professional hair care products are arranged across a jumbled 3D grid, and a fleet of lights hanging from the ceiling in a pattern that’s trying to tell you something. As you will see, Salon Eva Michelle is a conflicted space of contrast—black and white, top-down and bottom-up, old and new, reflective and matte. Welcome. You glow girl. 😉 Hair by @livefast_dyeblonde! 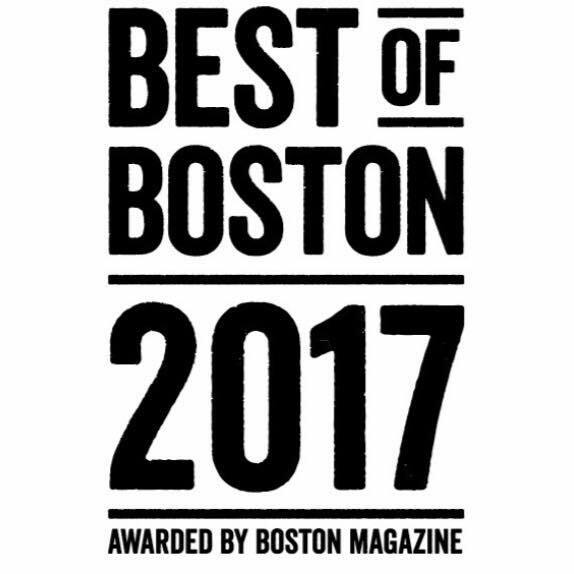 We are so honored to have been nominated for the Reader’s Choice Best of Boston Salon 2019. ✨ Voting is unlimited and each day you vote between now and May 20, you’ll be entered to win a pair of tickets to the annual Best of Boston event on City Hall Plaza July 18! Link in bio to vote. We ♥️ @ghdhair! These top-of-the-line hair tools use ultra-zone with predictive technology to give your hair perfect finish + shine while reducing hair breakage and maintaining healthy hair. Aspire to inspire. 💁 Spring #Transformation by Jackie! We are currently looking for hardworking + dedicated receptionists and assistants! Apply today by emailing careers@salonevamichelle.com! Good luck to everyone today running the #BostonMarathon! We will be closed today in observance of Patriot's Day.